The BS205-M is a wall mounted single wash basin designed for commercial use. Made from high grade 1mm thick stainless steel with a seamless welded round bowl. 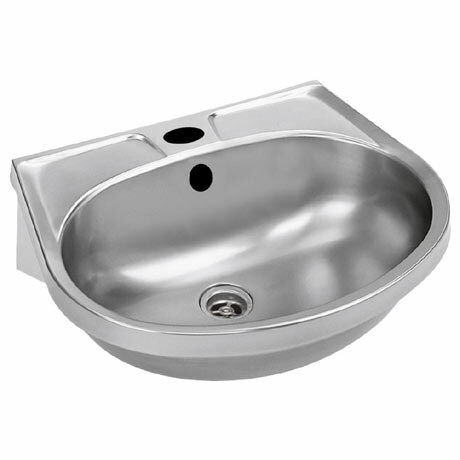 The washbasin comes with a single tap hole and overflow and features integrated soap trays. Supplied with wall brackets and plug and chain.